New Dawn is the "lightest" in terms of mood in their current music library (is "library" the right word?). Their recording of Enya's "Orinoco Flow" sets the tone as the first cut on the album. 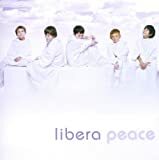 Although I have always loved Enya's original version, there is something about the energy of Libera's performance - and the arrangement - that makes one want to cast aside the cares of life and head off for that proverbial endless horizon. I must also commend the boys on their precise diction and impeccable timing: you can understand all the lyrics on the very first listen. Stand-outs on this c.d. include "Secret," "Love and Mercy" (written by The Beach Boys' Brian Wilson), "Never Be Alone," and the amazing "Air" which is from Johann Sebastian Bach's "Orchestral Suite in D." This latter orchestral work is performed entirely by voice, with Tom Cully, Edward Day, Joshua Madine and Liam Connery providing the solos. The harmonies in the arrangement of "Love and Mercy" are simply splendid and truly capture the underlying sadness and compassion of Wilson's lyrics; Cully and Madine are in fine voice for the solos. For those who are stirred by the honest beauty of spiritual adoration, "Gloria," "Sancte" and "In Paradisum," all performed in Latin, will satisfy. Wisely not overly lush, the arrangements are just lush enough, a tastefully wrapped gift to our Creator. 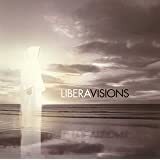 These call to mind the meditations abundant in Libera's "Luminosa" and "Free" albums. "Jerusalem" is just plain triumphant, one of the best versions I have ever heard, made all the more poignant because it is being sung by children. Do I recommend NEW DAWN? Yes. 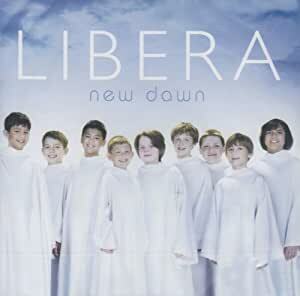 Do I recommend NEW DAWN as your very first Libera experience? That depends on what rocks your boat. There is enough variety here to give a good overview of Libera's versatility. I like it. 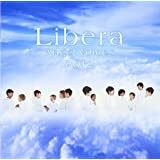 However, it is not my very favorite of Libera's albums, but only because their "Luminosa," "Free," and "Visions" albums have got me so stinkin' spoiled. BUT... there is so much that is good - even great - on NEW DAWN, I'm giving it four stars out of five. Now... a bit off subject while still on the subject: I have never heard any of Libera's recordings being played on the radio here in the States. That's a shame because so much of their music speaks to our needs, what with the current atmosphere of uncertainty, cynicism and moral ambiquity. If there is one cut on this album that would grab the average listener's attention, that song would be "Love and Mercy." I do hope some program bigwig takes my not so subtle hint here and gives it some airplay, just to see what happens. The latest Libera CD to add to my collection, "New Dawn," is slightly different than previous Libera CDs, in my opinion. This does not diminish the quality and artistry of the music in this CD in any way. Among the classic Libera style tracks are two tracks that one would classify as "pop" and "new age." One of the tracks I'm referring to is, "Love and Mercy" which was written by Brian Wilson and was performed by Libera on December 2007 at the Kennedy Center Honors in Washington D.C. The other track is a cover of Enya's "Orinoco Flow" which is superbly performed. 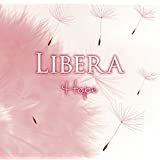 Some of the tracks on "New Dawn," such as "Ave Maria," and "In Paradisum" which is entitled "Lux Aeterna" in previous CDs, have been previously recorded with other Libera soloists. 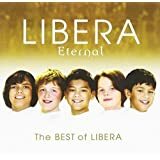 The songs Libera re-records on their later CDs only get better, not that the earlier ones are any less, so assuredly, you won't be disappointed if you buy a Libera CD with previously recorded songs. 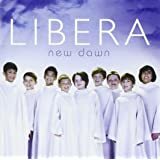 As I said before, "New Dawn" is a CD slightly different from other Libera CDs but still has the beautiful, angelic harmonies which Libera is known for. 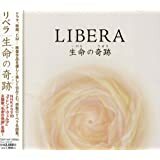 I highly recommend Libera's latest masterpiece, "New Dawn." Back in my younger days I would buy albums for just one song. While New Dawn has some repeats, it's worth purchasing for In Paradism and The Lamb. From time to time there are unique sounds within music genres. The Glenn Miller Band was a unique sound among big band music. As was the sound of The Beatles among emerging rock bands of that era. Libera's sound is also quite unique. It goes beyond harmony and song content. When they sing I feel my spirit move. Is it due to good parenting; a great director (Robert Prizeman); or great material? I'm not naïve enough to think that the people in Libera, boys and adults alike, don't have the same troubles that we all have. But they comfort me, and I hope themselves in the way they seem to transcend life's sufferings with their singing. You can feel love in their voices. 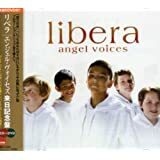 I never heard of Libera until I saw them on" The Kennedy Center Honors" in Dec. of 2007.They sang a song written by Brian Wilson who was one of the honorees.The song they sang"Love and Mercy"happens to be on this cd and I really love this song and most of the others on this cd In the future, I plan to purchase more Libera cds. CD arrived on 5/31/18, in perfect condition and as advertised. Thank you!